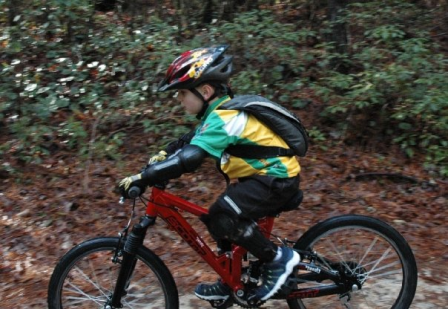 The 2011 event is adding a new Youth Clinic for girls and boys ages 8-12 years old. This 1-2 hour clinic will take place in at Hoosiers Nest beginning at 9:30 a.m. on Saturday, June 11. 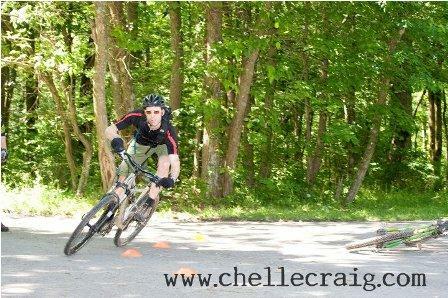 Participants will work in an open field to learn the basics of mountain biking from several of our IMIC certified Instructors and Coaches. No training wheels please. The Novice through Advanced Men's Clinic will take place at Walnut Shelter from noon to 4 p.m. on Saturday, June 11. The clinic will begin with an assessment of all the basic skills and participants will be sported into smaller groups to work on more skill level appropriate riding and handling techniques. Novice riders will focus on basic fundamentals covering skills for braking, shifting, steering and front and rear wheel lifts. 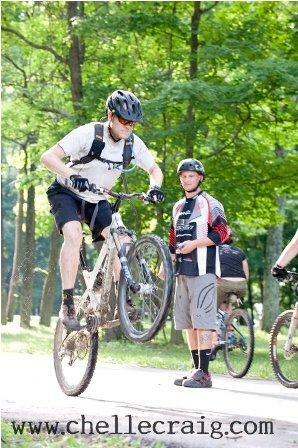 The Intermediate and Advance riders will move into more advanced skills such as high speed corning, manuals, bunny hops, drops, technical climbing and more..
After the skills are covered, riders will hit the trails directly from Hoosier's Nest. Trails may include Walnut, Schooner, Hesitation Point or Limekiln. We've partnered with Mad March Inc, a leading mountain bike coaching and certification company led by two time Downhill Masters World Champion Shaums March to bring you the best in mountain bike instruction! 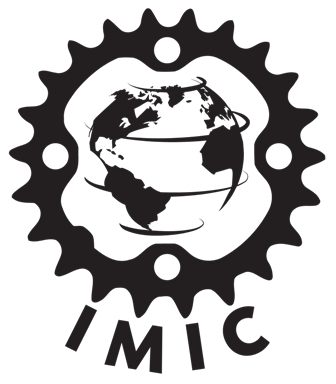 Shaums and the Mad March coaching staff are all certified coaches through the International Mountainbike Instructor Certification (IMIC) program.